We are pleased to announce the appointment of Terry McMullen to the position of CEO. Terry is a leading industry figure in the Loyalty and Offers space having been CEO of Pinpoint prior to it’s trade sale to MasterCard in 2014. 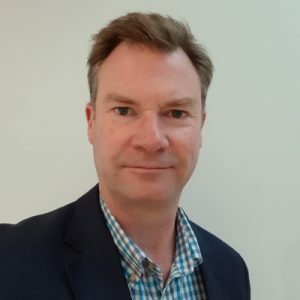 With over 30 years’ experience in customer loyalty/offer/rewards he has been involved with dozens of loyalty and rewards programs across Australia, India, New Zealand, Brazil, China, Taiwan, South Africa and Asia. Terry entered the loyalty industry 1985 via a role with American Express before joining Pinpoint Pty Ltd in 1990. He was one of four in the Pinpoint core leadership team that grew the company to a headcount of over 500 people and became Asia Pac’s leading rewards and offers provider. Having assisted with the orchestration of a successful exit via a trade sale to Mastercard, he was a highly sort after industry consultant for the period 2015 – 2017. During this time he worked with a wide array of clients including multiple start-ups, payments providers, card schemes, airlines and telco’s. Terry has been a Co-founder and CEO of OpenSparkz since February 2017. OpenSparkz re-imagines the world of loyalty and offers by harnessing nascent card linking technology. Using payment scheme integration, OpenSparkz is a global, cloud based, enablement platform that can power any rewards or offers program without the need for separate loyalty cards, offer codes or coupons – creating better data based, digitally delivered, experiences for consumers and merchants. Get In Touch to find out how OpenSparkz can power your customer loyalty rewards.